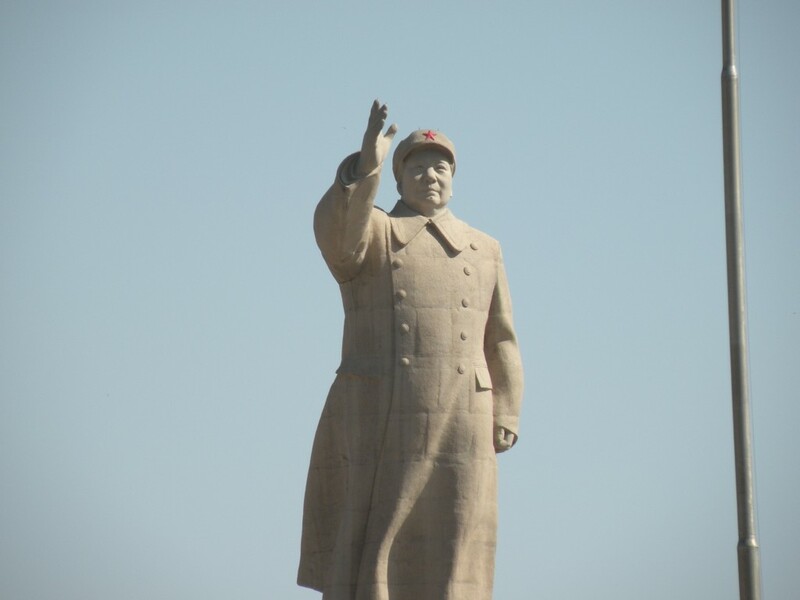 I rise and toast the Free Uighur and Tibeten movement and together we will bring the violence of the sun to our enemies until the rivers run crimson with their blood and then we will send them into the darkness where the shadows run from themselves, peace be upon the Uigers and Tibetens. Goose bumps rise on my arm as I wish to volunteer. Are there not some things worth loosing everything for? As God is my witness, I will see you again as golden clouds drifting on the wind. Peace be upon you may we bring the violence of the sun upon upon enemies and hold their severed heads high – for then all will sucumb to the will of Allah. We crossed into China over a semi closed border from Kyrgyzstan. Although I would have liked to have stayed longer in Kyrgyzstan our Interior special permit would run out so we set out from Naryn and then over the Tourgut pass. This is the town of Naryan and we stayed in Yurts outside of town surrounded by flowering fields and mountainous terrine. thank you Russians. The photo above was shot there . Look how much dress styles have changed. See my Kyrgyzstani section for more photos of Kyrgyzstan. Very cool road we traveled over. Here no cameras were allowed. We were handed over to a Chinese security cleared person on the Chinese side and we were smoked by the border guards. We were searched every time at 7 different locations. Above is the video of the Free Uighur movement I shot In Kashgar. When I hear the music I want to join their revolution. There was an insurrection when I was there and about 20 people were killed. The response from the Han Chinese was punishing just like in Tibet. .
On the Chinese side. They were not used to seeing us Americans and we were searched over and over again, like 7 times. 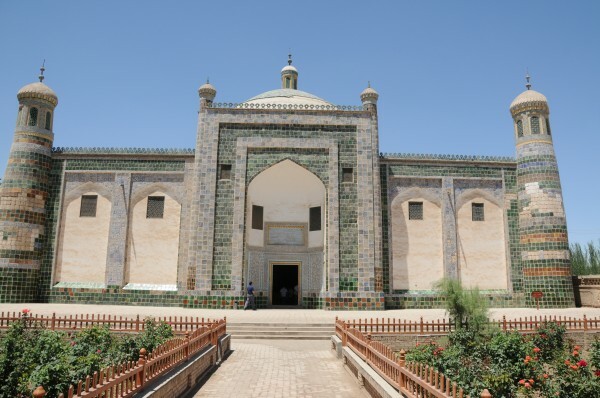 Kashgar is sited west of the Taramaka desert. 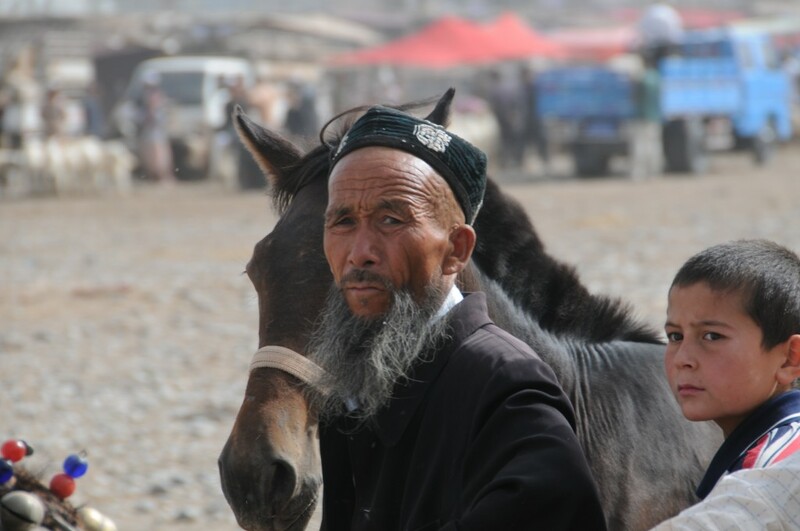 We went to the Sunday Animal Market in Kashgar. 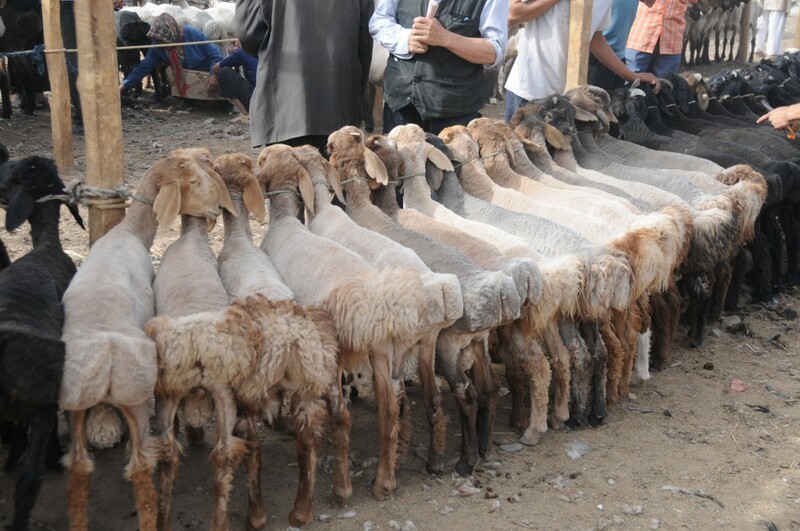 There are few other markets in the world that have been in continuous operation as long as Kashgar’s. 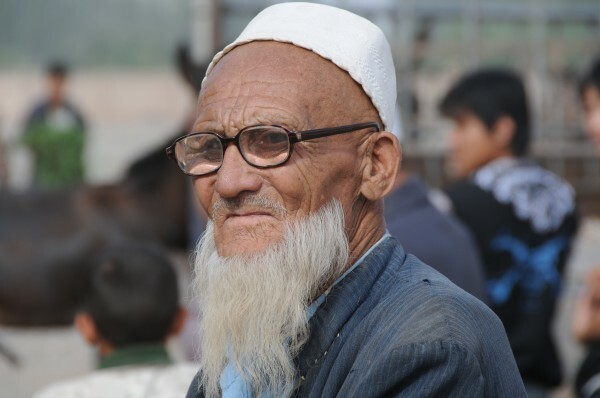 And there are few in the world that can match Kashgar’s colors, smells, hustle and bustle. we jumped into a taxi and sped away. We walked into the busy market, where traders were buying and selling this week’s stock of cows, sheep, goats and horses. The bargaining was frenetic. Young boys were shearing the sheep, experienced traders examined the animals’ teeth and others who were finished with their business were enjoying a social morning over cups of tea. As we made our way to the exit of the market, a group of old men called us over to where they were sitting. Their sun weathered, wrinkled faces smiled: teeth missing, wide joyous smiles. The streets of the old town are lined with mud-brick houses in which pots are made and sold, along with every other kind of wares, spices and textiles. 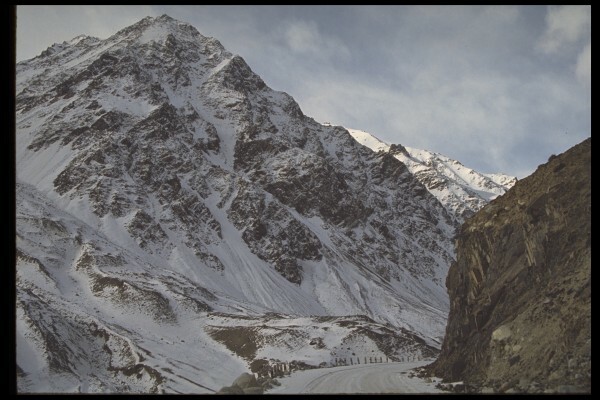 This famed spot on the Silk Road was a vital hub for traders from the East and West and a hot spot in the struggle for empire in Central Asia known as “The Great Game.” In fact, very little in western China seems “Chinese” at all. 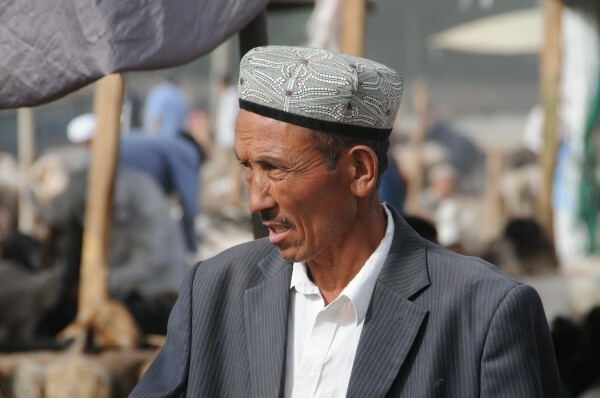 Until several decades ago the Uighur minority, a group more closely associated with Central Asia than the Far East, outnumbered the Han Chinese in Urumchi, the capital of the Xingjian province. 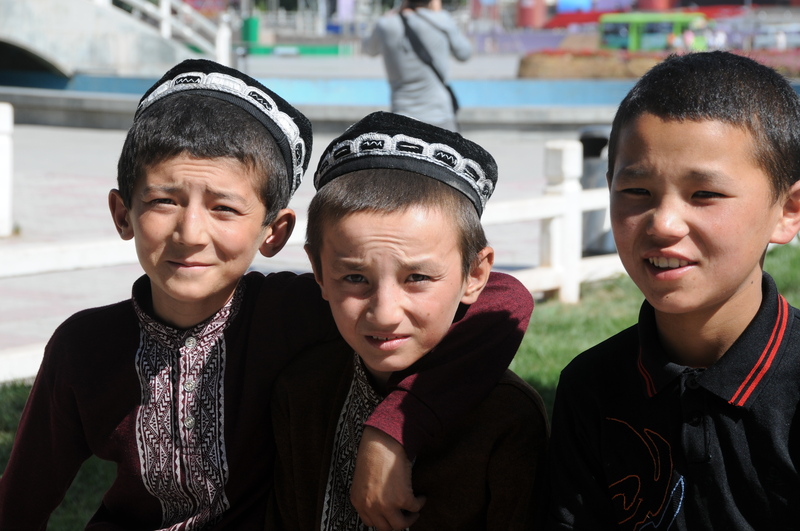 Most here speak Uighur, a Turkic language that resembles Uzbek more than Chinese. 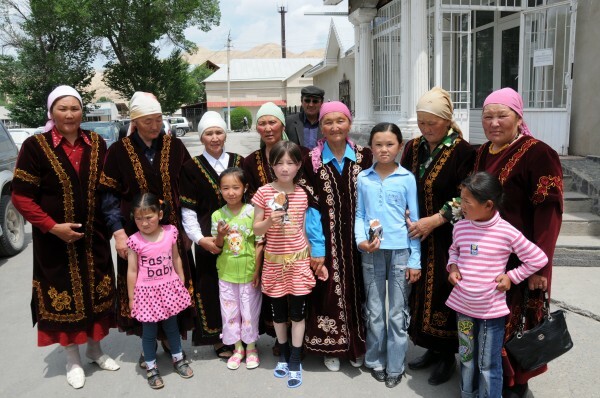 This ethnic diversity is reflected by the population, made up by not only Chinese and Uighurs, but also Kazakhs, Kyrygz, Tajiks and Uzbeks. It is China’s flavorful melting pot. We visited the famous Mosque and prayed there for peace in the world. Unfortunately the Uighurs are being slaughtered by the Chinese. Above the beautiful Mosque that I went to and prayed in. Here you’ll find entire animals, hung on large steel hooks, cleaned and ready to be purchased. Young boys run up and down the aisles with baked dough, selling their product to both locals and tourists alike. You’ll find entire aisles dedicated to scarves and textiles (and even knock-off pashminas), Central Asian hats and even bike tires. You can visit to Karakul, which is a beautiful lake at the foot of Muztagh Ata (a peak that rises to 7500 feet) and a four hour drive from Kashgar. I will speak about this in my Muztagata Climb. Ok when we went to leave Kashgar, on the train to Urumqi, wow the security. We were totally searched like over and over again before getting into the gate. Once we boarded the train, a female guard on the train came back again for the second time and this time with a Army dude carrying a gun and search all of our bags. It was a 24 hour train ride through the desert and that was really fun. We had a private room on the train. From Umruchi, we started our trip home back to the states. I ended up in a jail in Turkmenistan – really a holding cell – because we did not have correct paperwork but the Russians I knew helped us out. This problem started because of the Chinese were not going to let us on the plane but all things are open with a tip and sweet smile. I talked my way onto that plane but that is why I got in trouble in Turkmenistan. not a big deal kind of cool actually.